It has been a crazy year. There is so much happening in my life that my emotions are riding a continuous set of waves, striking me with constant pangs of sea-like sickness and nervousness. I've been neglecting all the extras, like this blog, my 52 project, time with friends, date nights, emails and social media in general to focus on both the good and bad going on. But, I need to gather my thoughts and get them out before my mind explodes, and I know I'll be glad for it later. There are so many things for me to be happy about right now. I had the honor of being a part of my best friend's wedding this past weekend. It was a remarkable day and a beautiful ceremony that I'll forever treasure in my memory. I've been working on starting my own business, too, and finally, tomorrow morning, I'll launch Petit Fauve, an online children's clothing boutique. It's been months and months in the making and I'll still be working out all the kinks and adding to it in the next few months, but I'm really excited to get things rolling. It's been consuming every bit of free time I have, but being busy always gives me a bit of fulfillment. 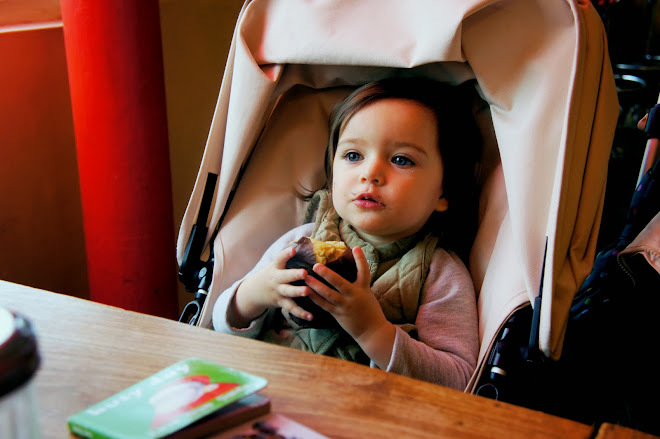 We took a quick trip to Paris in late-January that was simply way too short and way too busy. I so love that city and hope to be back there again in the summertime to enjoy it a little more. Despite the chaos of running around town from morning to midnight, we had so much fun and I still want to share the pictures from that trip. I will soon. I have so much to be happy about and grateful for, but there is a lingering and constant sadness despite it all. My dad has been in the hospital for three weeks now. He's been sick since the beginning of the year, and his health has been rapidly declining since then. The most frustrating part of it all is that there is still no definitive diagnosis, and with every treatment, a new symptom or ailment crops up and we're back to square one. Most recently, they've had to anesthetize him to the point of complete sedation in an effort to "reset" his brain and stop the persisting seizures that seemed to materialize out of nowhere. It's the scariest and saddest thing to witness someone you love deteriorate so quickly. Not knowing if he'll wake up, or if he'll be able to function normally if he wakes up has been the most nervewracking and emotionally-trying part of it all. I wish I could say he's "recovering", but he's really just "maintaining" now until we see how the sedation treatment affects him over the next few days. Everything I do, I do it with him and his situation in the back of my mind. I can't shake it and I won't stop thinking about it until there are answers. My relationship with my dad is not perfect, but he is my dad and I love him and I know he loves me. Seeing him become so ill has made me feel grateful for the good times and hopeful for more. I know that more emotional tidal waves are ahead, so I'm just doing my best to focus on the calm and prepare for the chaos. Last week was insane, and remembering to bring my camera with me to photograph Avienne for her portrait of the week was pretty much an impossible goal. Luckily, just before the week ended, I snapped this picture iPhone of my gal helping with decorations for my best friend's bachelorette party. 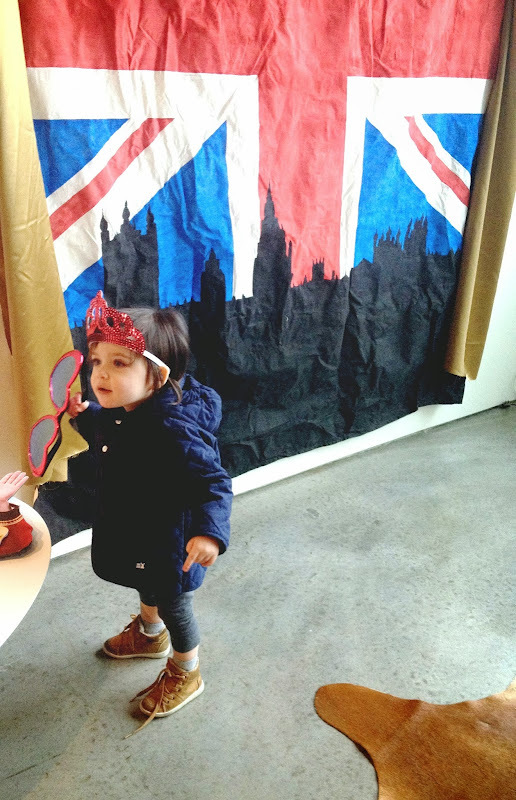 You can probably guess the theme from this picture, and Avienne was especially digging all the "royal" photobooth props. The craziness of last week has carried over into this current week, but missing so many photo ops throughout the week has made me realize how much I value this project. I so want to have something to remember the days with my baby as they pass faster and faster. It's not easy, but it's worth the extra effort to lug along my camera to capture all the little moments that get lost in a hectic week. Avienne has hit the climbing stage, which has been stopping my mama heart on the regular. 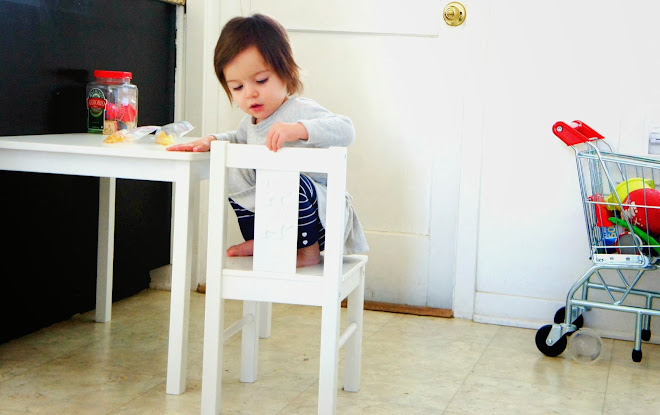 Her favorite things to climb are chairs, of course, which means we have to be extra careful not to leave anything sharp or breakable on counters and tables. She also enjoys using her toys (especially her cash register) as step-stools, and every time she stands up and unsteadily jumps on the edge of our bed, I'm pretty sure my heart skips a handful of beats. But, she's so much fun to be around right now, and even when she misses a step and takes a tumble, she gets up with a smile or laughs it off like it was all a game.